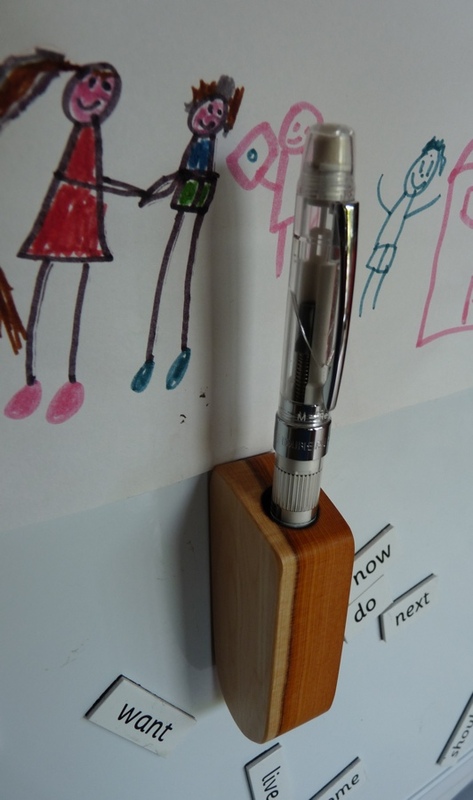 Pen Friend pen holder: review and giveaway – Pens! Paper! Pencils! 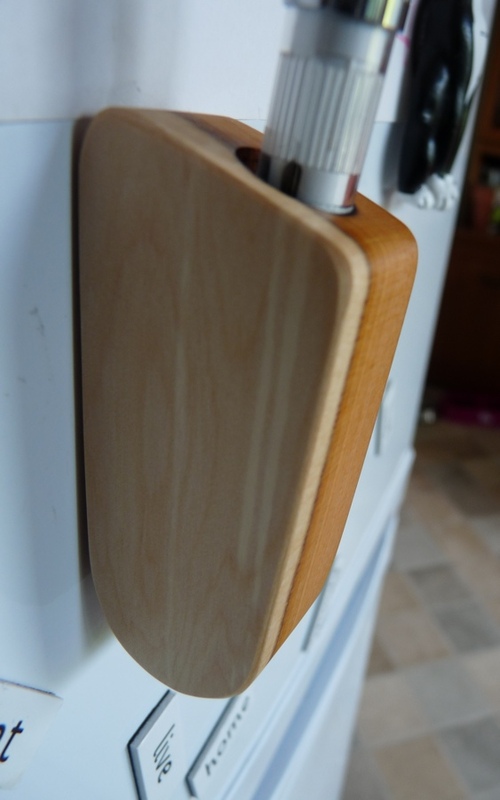 The Pen Friend is a wooden magnetised pen holder, so you can keep a pen handy on your fridge. It was a little Kickstarter project that delivered on time. They are now for sale on David Jonah Design’s website for £6 (about $9). They’re available in maple, walnut, yew or any of these woods combined with baltic birch. This one is made from yew. It’s a simple design and a simple idea but aren’t they so often the best? 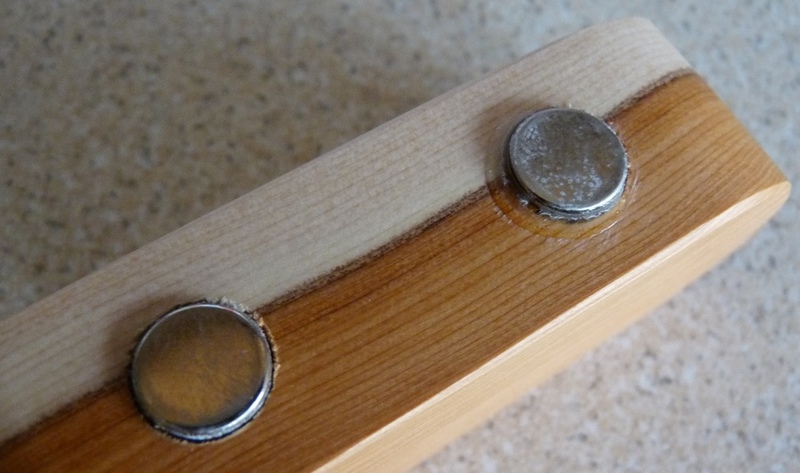 The Pen Friend is a piece of wood with a hole in it and a couple of magnets on the back. Simple ideas need to be executed well, though, if they are to become great products. The Pen Friend looks wonderful and is very well made. The magnets are strong enough to hold it firmly to the fridge so it won’t move around as you put your pen in or take it out. The hole is large enough for most sensibly-sized pens. I can also see this being useful in a workshop as it could be attached to metal shelving or machinery. I like this very much. It’s a good idea, it’s very well executed, it’s available in a variety of natural finishes and it’s a sensible price. Would you like to win one? Well you can! All you need to do is visit the David Jonah Design shop and choose your favourite version of the Pen Friend. Come back here and tell me, in the comments, which one you picked. I will use random.org to pick a winner and that person will win the Pen Friend they picked! Thank you so much to David for donating this great little prize. This giveaway is open worldwide and will close at 9pm GMT on Friday 31st October. walnut is one of my favourite woods, but yew is so unusual here, I think I would pick that. These look wonderful! The maple looks really nice, but I think I’d have to go with the yew. It looks like it’s got a lot of character! I’d have to pick walnut & baltic birch – the combination is striking and gorgeous. The yew one is beeeeutiful. I would pick the Walnut & Baltic Birch one as the colour and contrast between each type of wood makes it look classy. Thanks for this giveaway! Hi Ian, always a pleasure to find someone else online who knows how to spell “favourite” correctly! My favourite pen friend would probably be the maple – simple, classy, and understated. Thanks for the chance (possibly) to win one! Yew and Baltic birch for me, thanks for the chance! Hi Ian, I love the Yew – it really is a lovely hue and very warm. The mixed wood yew is my favorite with walnut & baltic birch a close second. Seems perfect for my new fridge! Ohhh. That walnut one is fabulous! Walnut & Baltic Birch Pen Friend is my favorite. Ok, this looks special. Walnut looks most nice. What clever pen holders! They are all very nice, but the Yew has such wonderful character, so I pick that one. I want the Walnut & Baltic Birch design. 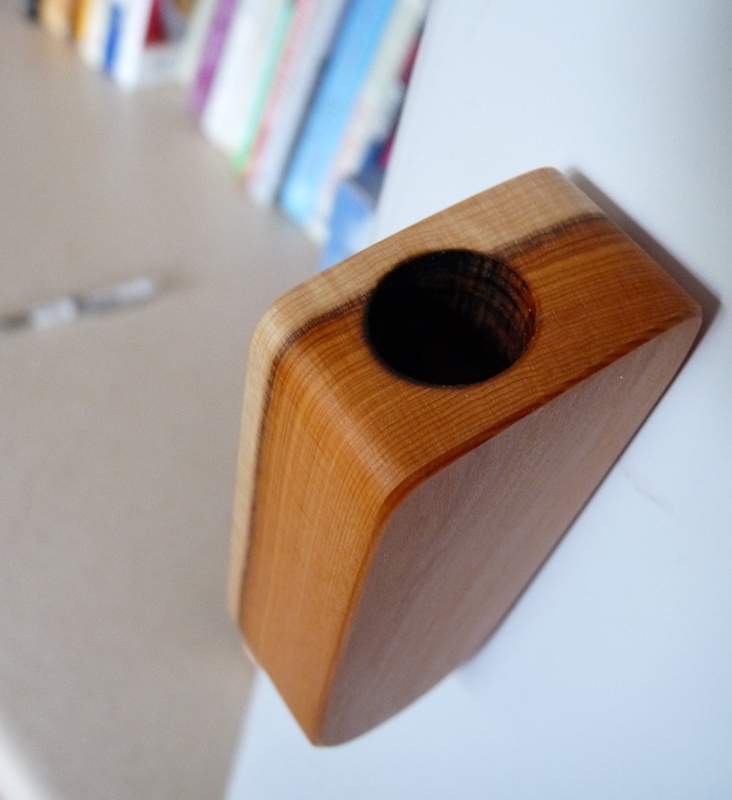 I really like the pen holder in Yew with birch. My favourite, though its a difficult choice!